Order the free Porcupine Mountains Official Map and Guide to plan your next getaway to Michigan’s scenic Upper Peninsula. Discover waterfalls, explore the Porcupine Mountains Wilderness State Park and learn about hiking, shopping, dining, activities and more in Ontonagon County. The guide includes scenic driving tours and will help you find attractions like Summit Peak, Lake of the Clouds and Caledonia Copper Mine. It will also help you find comfortable lodging that’s close to it all. Just complete the form below to receive your guide. 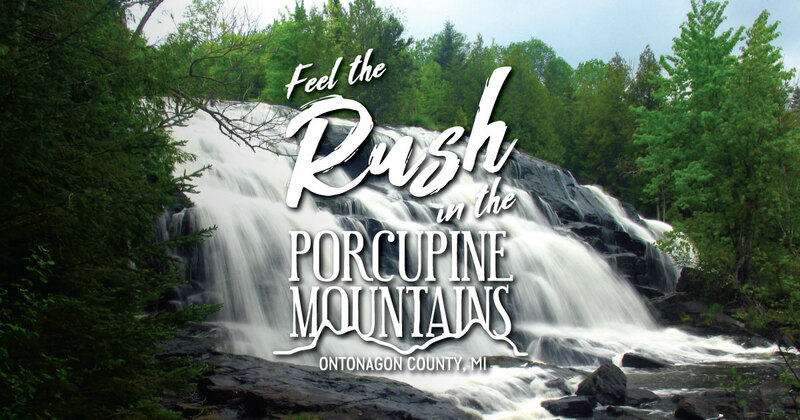 Have you visited the Porcupine Mountains and Ontonagon County before? In which season would you most like visit the Porcupine Mountains and Ontonagon County? Which of these activities interest you?